Looking for movie tickets? 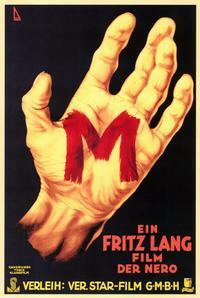 Enter your location to see which movie theaters are playing M/THE TESTAMENT OF DR. MABUSE near you. M. Hans Beckert, a serial killer, preys on children and whistling “In the Hall of the Mountain King” as he works. When the ensuing police crackdown proves bad for criminal business, all of Berlin’s underworld begins a manhunt for Beckert. THE TESTAMENT OF DR. MABUSE. From his cell, the criminal mastermind churns out pages of mysterious writing - which Inspector Lohman believes are connected to a wave of terror sweeping Berlin.